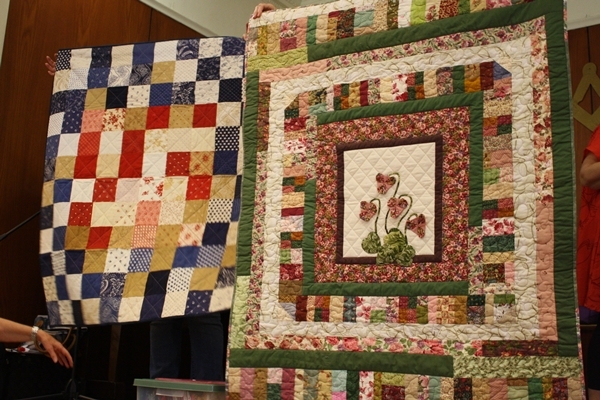 114 members and four visitors attended the busy and productive March meeting. 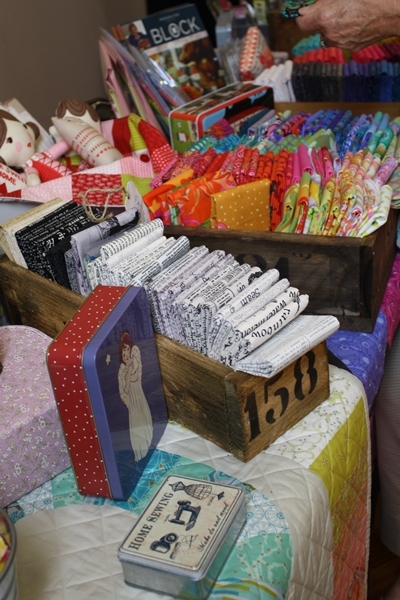 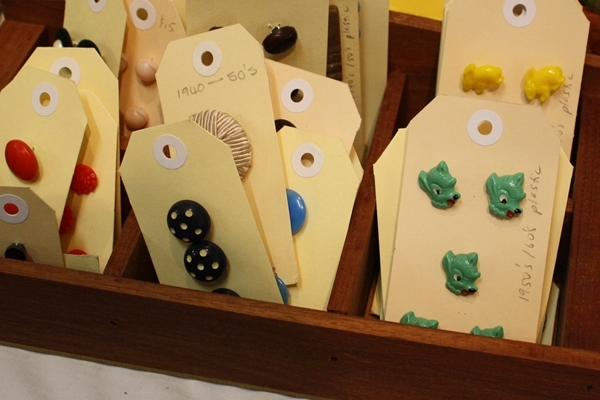 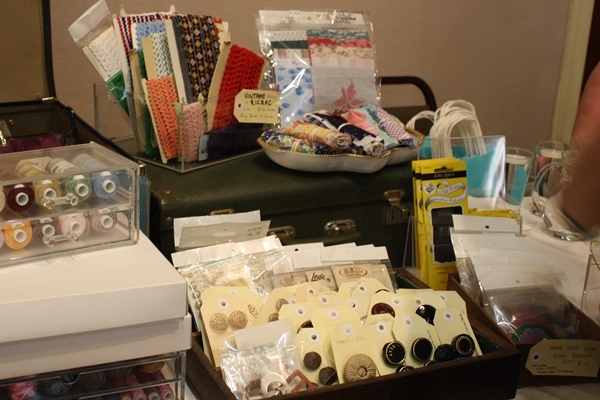 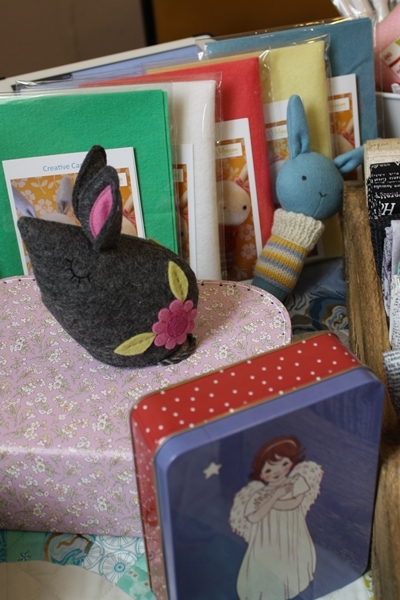 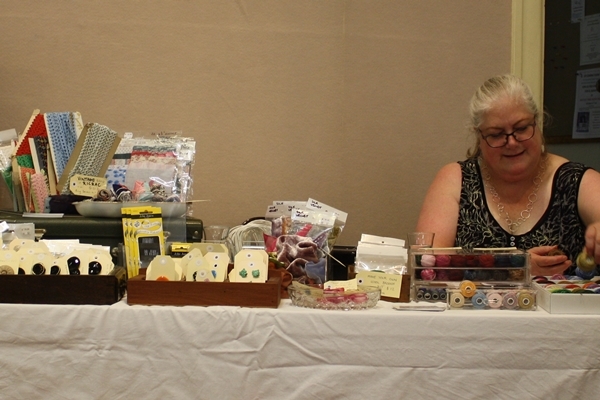 The shop was provided by the quilt shop from Bridge St, Etham and it provided a lovely range of fabrics, patterns and other items for us to enjoy. 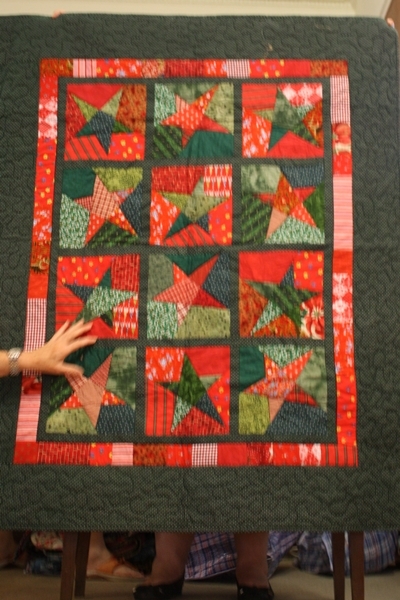 More information can be found at www.thequiltshop.com.au and in the photos displayed in the gallery below. 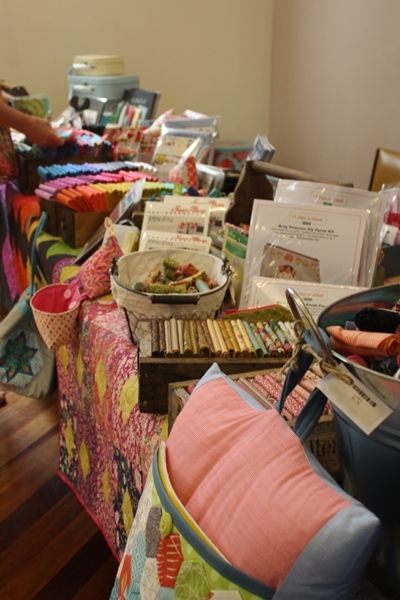 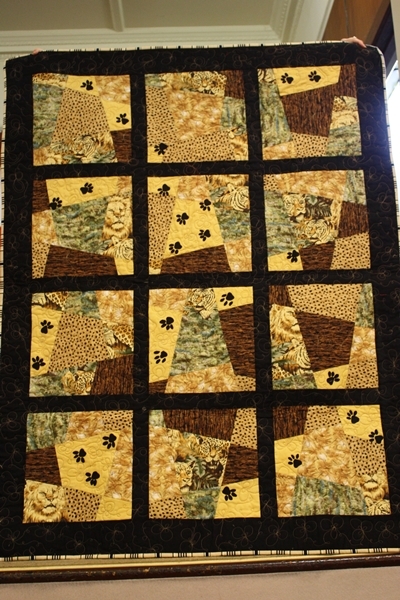 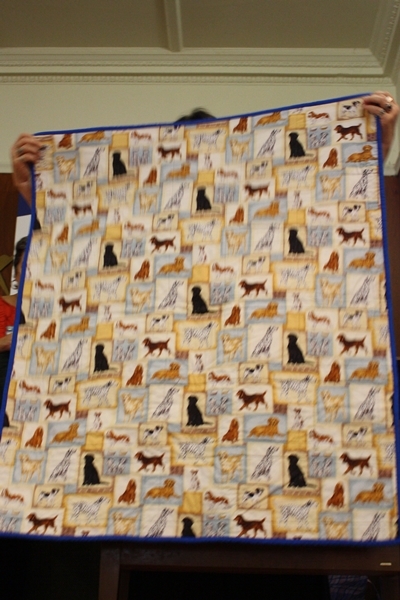 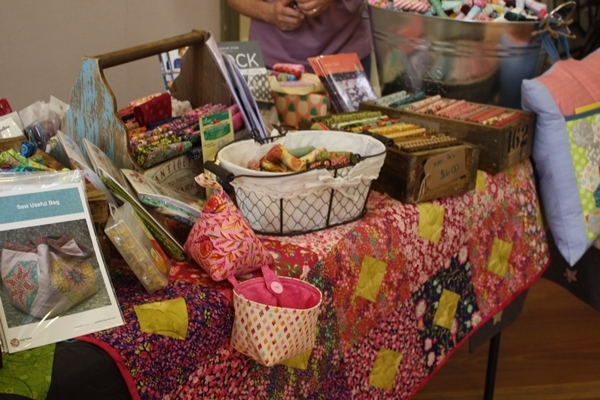 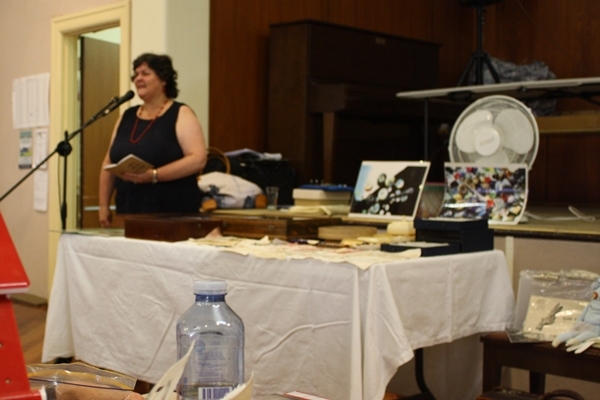 Elaine took a PUPS session on tumbling blocks and the Trading Table raised about $280 for future Guild activities. 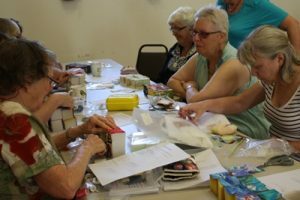 Members learning how to complete tumbling blocks. 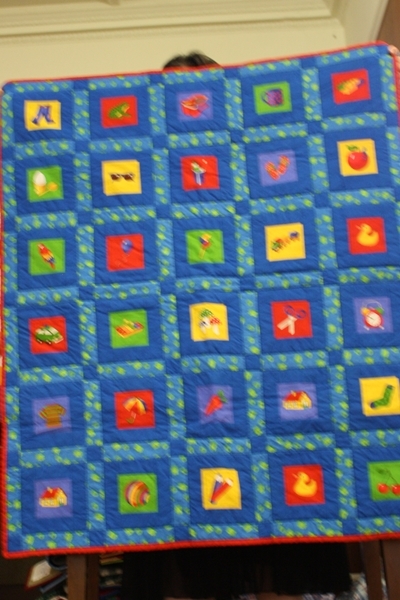 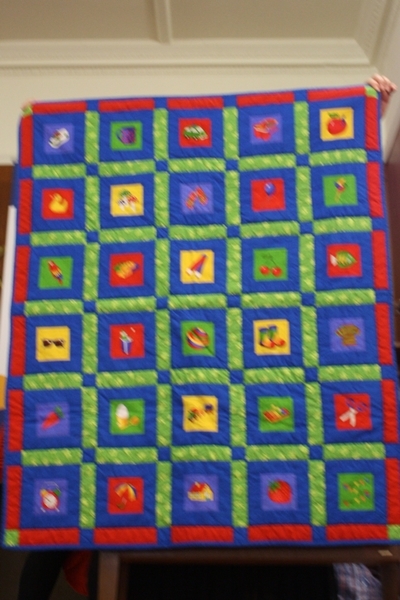 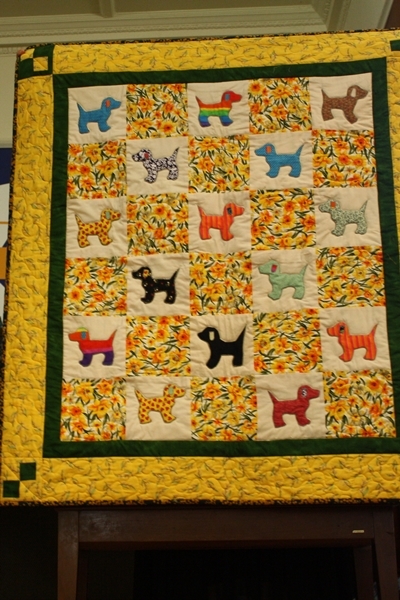 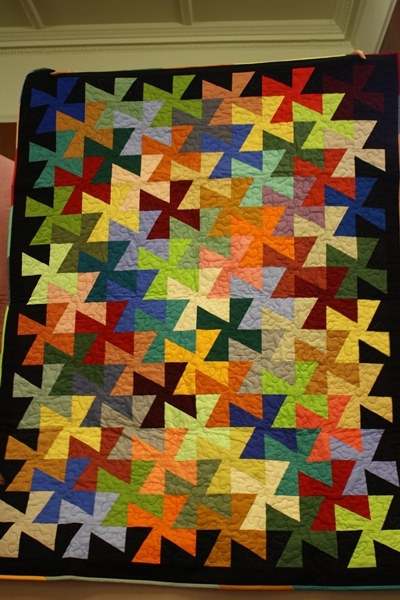 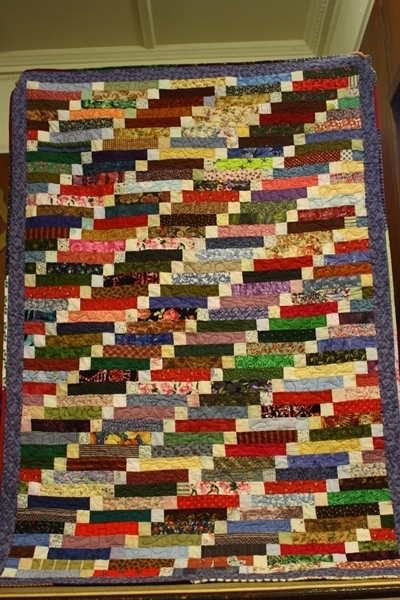 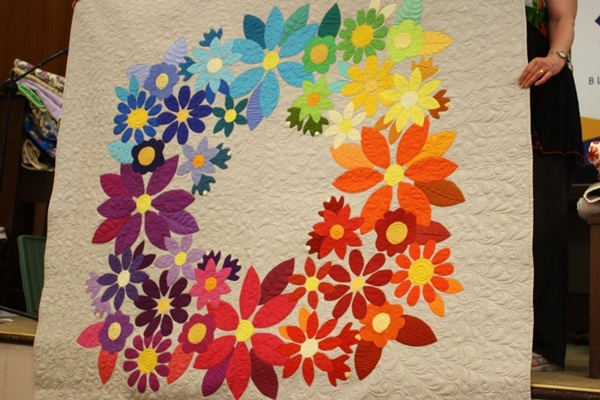 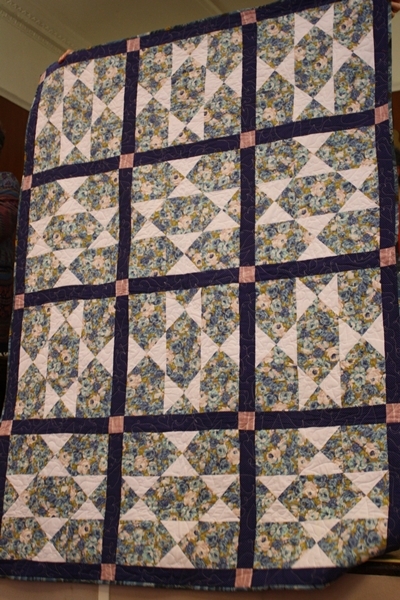 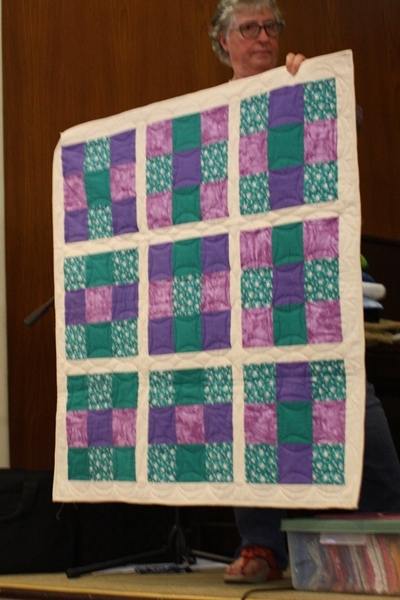 Congratulations to those members who have been enthusiastically and industriously working on some amazing quilts for Caring and Sharing. 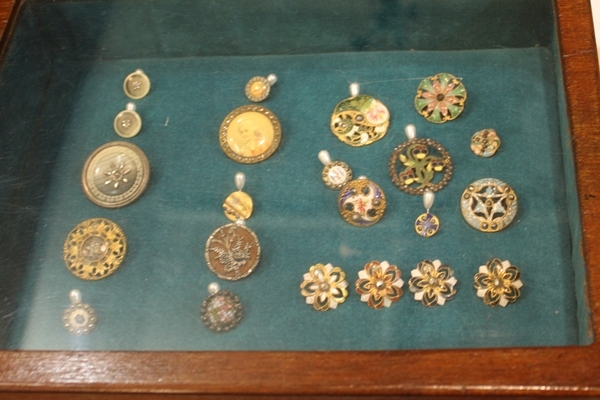 I am sure you will be delighted to look at some of these in detail. 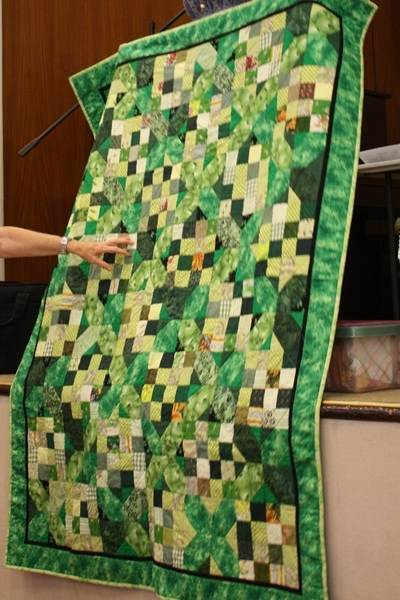 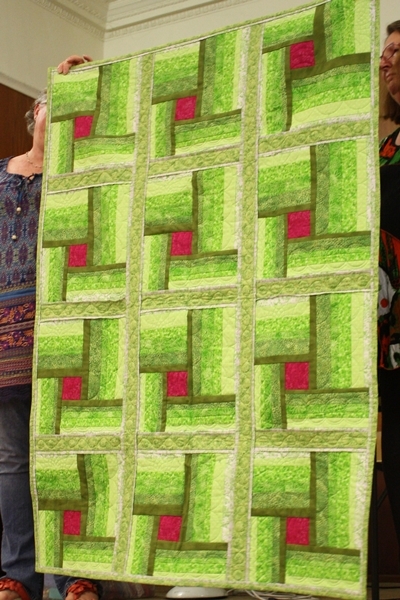 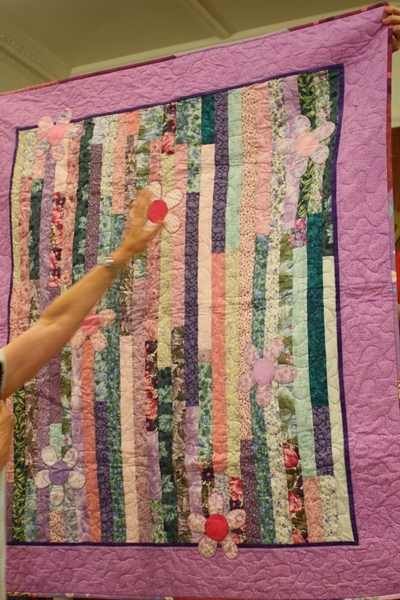 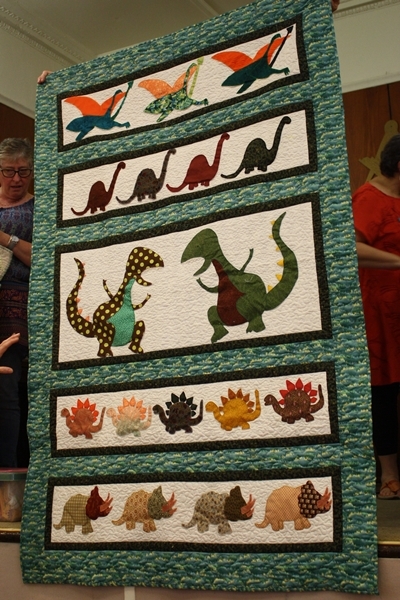 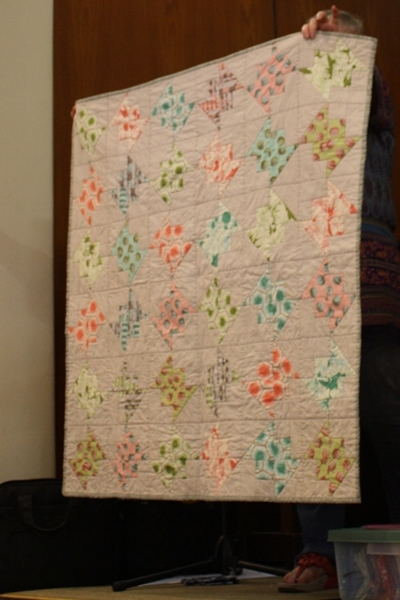 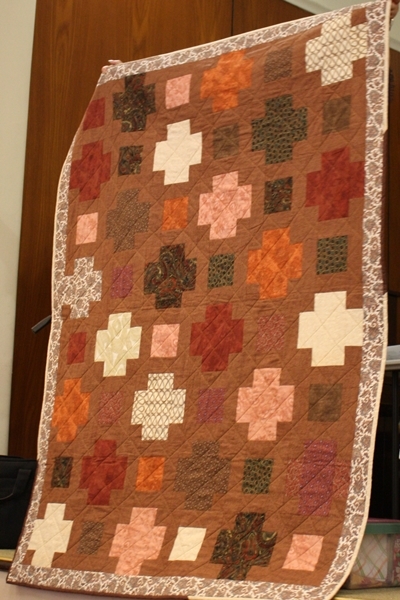 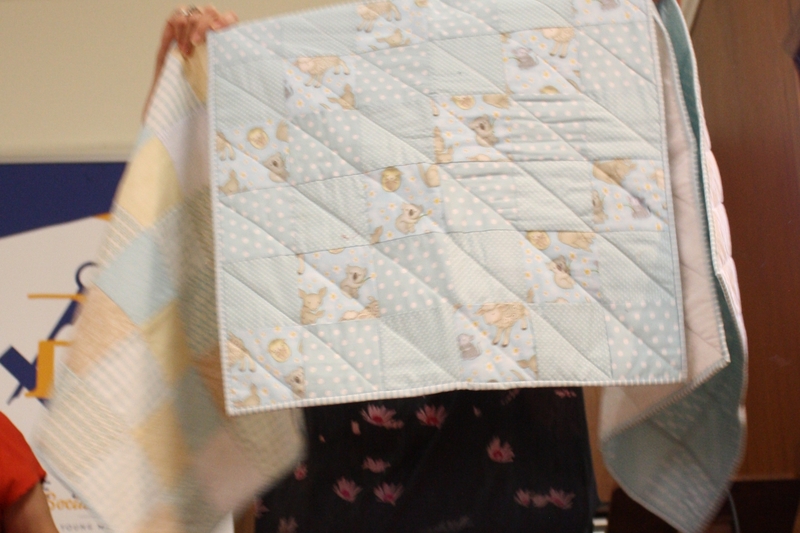 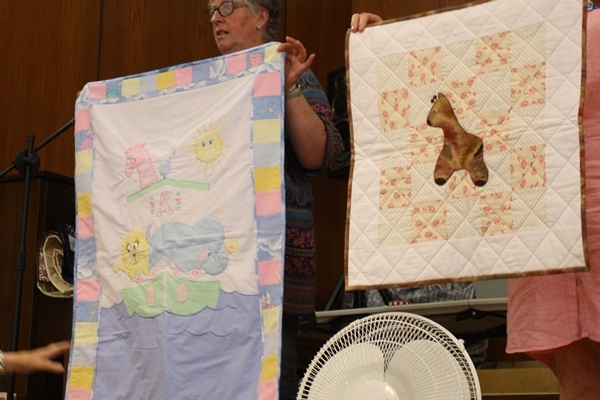 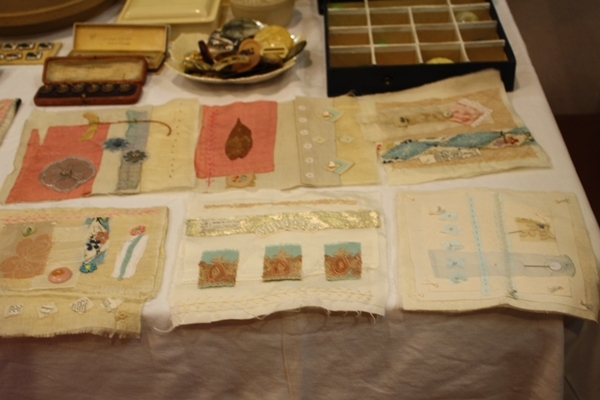 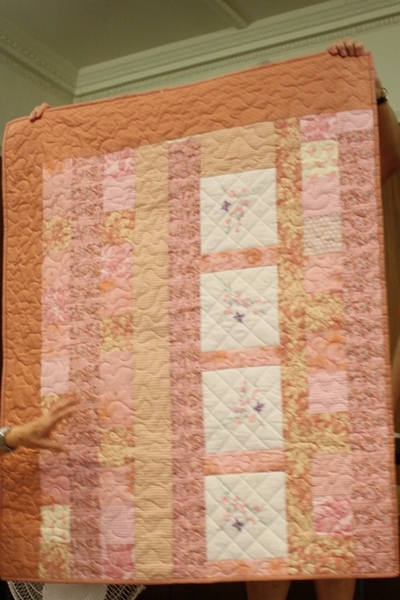 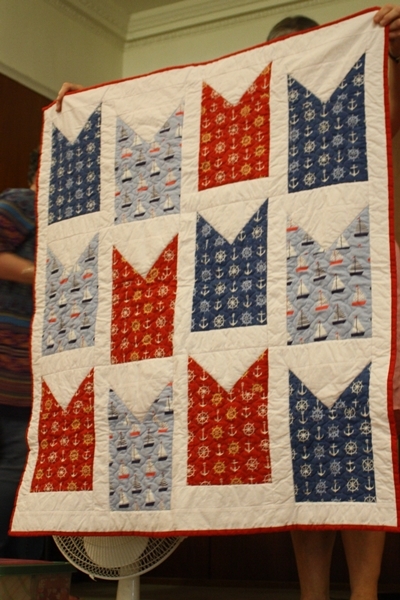 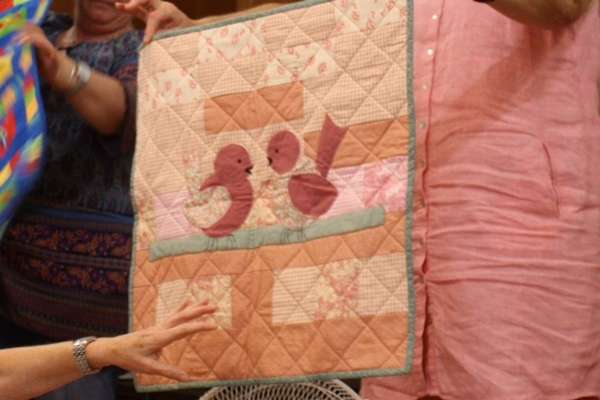 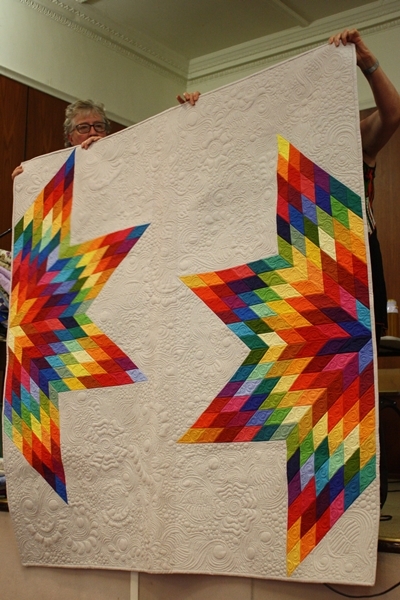 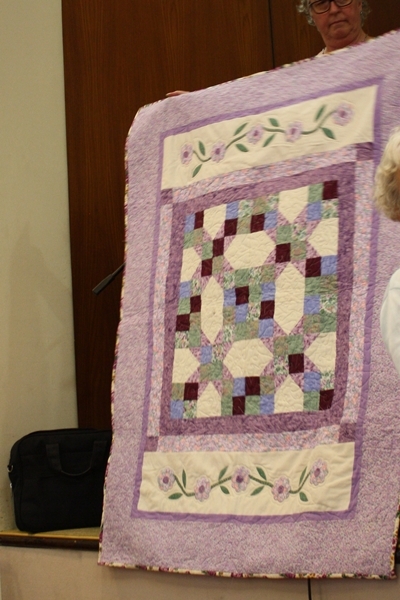 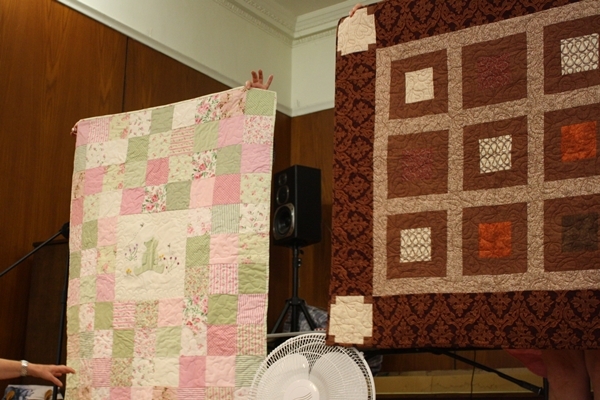 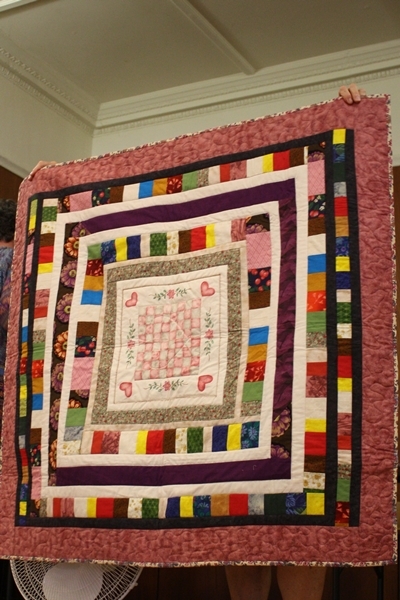 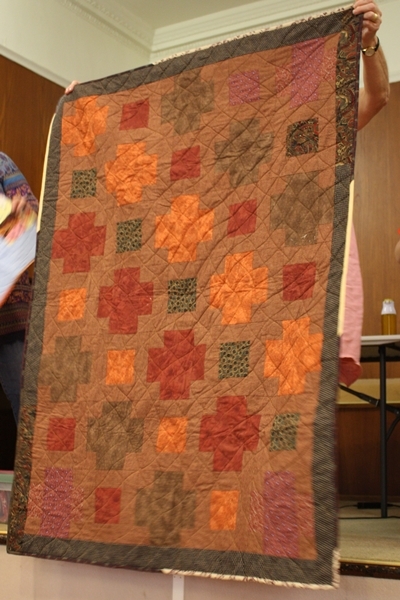 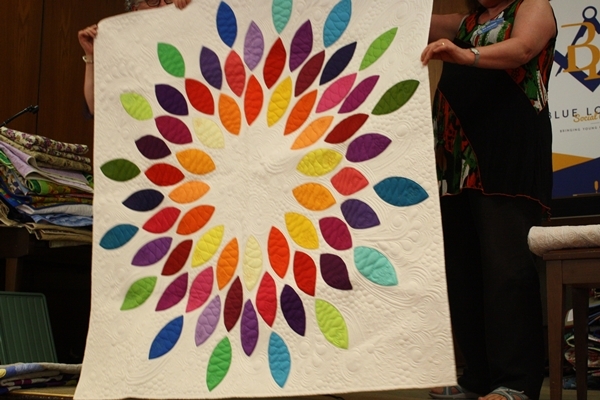 Our meeting concluded with a brief display of Show and Tell quilts from members. 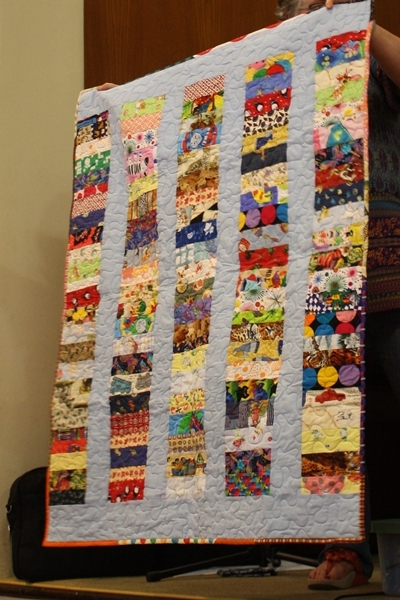 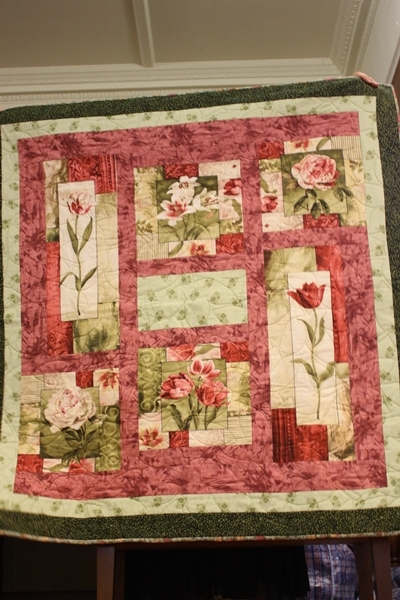 Productive sewing and quilting until next we meet!